"One of the main tools of spiritual growth is participation in a small group, where your spiritual muscles get a regular workout. " A life group helps me develop spiritual muscle. Over fifty times in the New Testament the phrase “one another” or “each other” is used. We‘re commanded to love each other, pray for each other, encourage each other, admonish each other, greet each other, serve each other, teach each other, accept each other, honor each other, bear each other’s burdens, forgive each other, submit to each other, be devoted to each other, and many other mutual tasks! These are your “family responsibilities” if you claim to be a part of God’s family. Who are you doing these with? Isolation breeds self-deception. It’s easy to fool ourselves into thinking we’re mature if there is no one to challenge us. Real maturity shows up in relationships. We need more than the Bible in order to grow; we need other believers. When others share what God is teaching them, I learn and grow too! A life group confirms my identity as a genuine believer. I can’t claim to be following Christ if I’m not committed to any specific group of disciples. Jesus said, “Your love for one another will prove to the world that you are my disciples” (John 13:35 NLT). When we come together in love as a life group from different backgrounds, ethnicities, and social status, it’s a witness to the world (Galatians 3:28, John 17:21). You’re not the Body of Christ on your own. You need others to express that. Together, not separated, we are his Body (1 Cor. 12:27). A life group is the best way to take my God-given mission in the world. When Jesus walked the earth, even he had a life group! Today the church is Christ’s Body on earth. We’re not just to love each other; we’re to take that love together to the rest of the world. We’re his hands, his feet, his eyes, and his heart. He works through us in the world “He creates each of us to join him in the work he does, the good work he has gotten ready for us to do, work we had better be doing” (Eph 2:10 Msg). A life group will help keep me from spiritually backsliding. None of us are immune to temptation. Given the right situation, you and I are capable of any sin. God knows this, so he has assigned us as individuals the responsibility of keeping each other on track. The Bible says, “Encourage one another daily … so that none of you may be hardened by sin’s deceitfulness” (Heb 3:13). “Mind your own business” is NOT a Christian idea when it comes to helping each other! We’re commanded to be involved in each other’s lives. If you know someone who is wavering spiritually right now, it’s your responsibility to go after them and bring them back into the fellowship. “If you know people who have wandered off from God’s truth, don’t write them off. Go after them. Get them back” (James 5:19 Msg). Related to this is the benefit that being connected to a small group provides the spiritual protection of godly leaders. God gives shepherd leaders such as me, the responsibility to guard, protect, defend, and care for the spiritual welfare of his flock (Acts 20:28–29; 1 Peter 5:1–4; Hebrews 13:7, 17.). “Their work is to watch over your souls, and they know they are accountable to God” (Heb 13:17 NLT). If you’re detached from the Bridges of Hope Body of believers, I’m not responsible for you. If you are unplugged from the life of the Body and isolated from the fellowship of God’s family, Satan knows you’ll be defenseless and powerless against his tactics. The Body of Christ needs me! You have a background and experiences that other people can learn from and draw strength from! God has a unique role for you to play in his family. This is called your “ministry,” and God has gifted you for this assignment. “A spiritual gift is given to each of us as a means of helping the entire church” (1 Cor. 12:7). 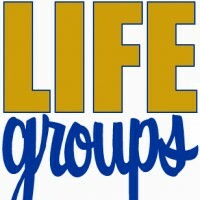 Your life group is the place God designed for you to discover, develop, and use your spiritual gifts and talents.